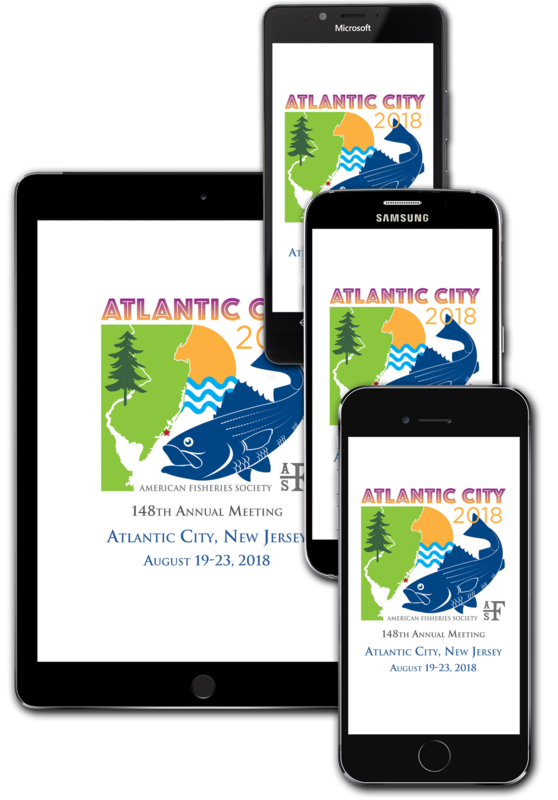 First things first: Browse for "AFS Annual Meetings" in Google Play or the App Store to download our free app. 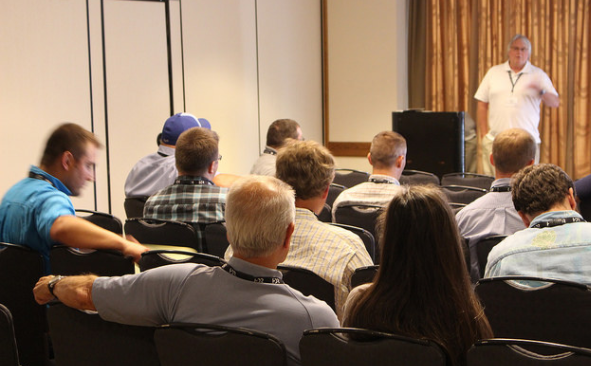 With more than 80 symposia this year, you'll need it more than ever! Create your own custom schedule, search for talks and meeting rooms, connect with colleagues, see what's happening right now, get alerts, and keep the conversation going on social media. And don't forget to fill out your profile so other attendees can find you. Do you want the inside scoop on how to be successful when applying for jobs, graduate school, internships, and postdocs? 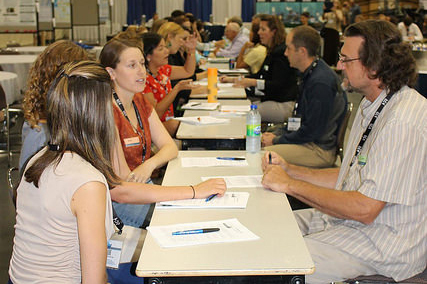 Get useful advice and tips from professionals from different sectors at our mentoring event, or get one-on-one guidance throughout the meeting with a student-professional pair-up. 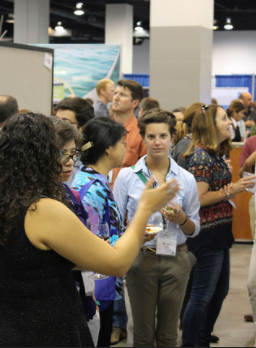 You may feel like you already know the #fishsci crowd on Twitter but here's your chance to actually meet your favorite friends and influencers. 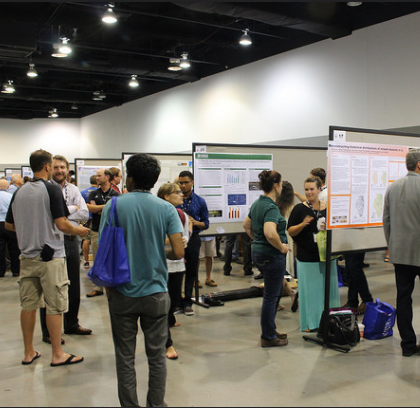 Follow our Twitter account (@AmFisheriesSoc) or the hashtag #AFS148 for details on tweet-ups organized by our new Science Communication Section. New to Twitter? Learn the ropes at our webinar on August 14. Upload your slides at the A/V loading room at least 24 hours ahead of your talk. And please revisit the Presenter Instructions to be considerate toward your colleagues and keep your slides to a minimum. Most oral presentations are 15 minutes with 5 minutes for questions. 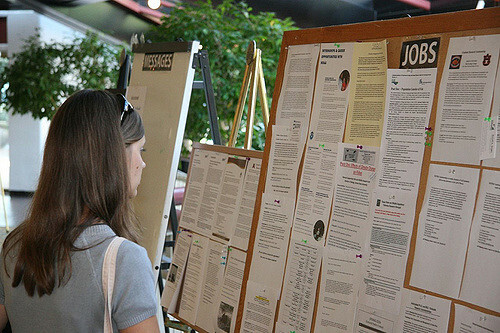 Remember to take advantage of job boards posted at the Annual Meeting. Students: Make sure to check out the paid volunteer opportunities to earn some extra cash during the meeting! Registration is busiest on Sunday afternoon and Monday morning. Check your email next week for your bar-code so that you can move through lines faster. Registration is on the second floor pre-exhibit area of the Atlantic City Convention Center (right up the escalators from the front entrance). Even with smart phones, business cards are still the easiest way to provide your contact information. Having a resume/CV handy is another good idea. Finally, grab colleagues or mentors and practice your "elevator speech." Whittling down your personal profile to 30 seconds, or your presentation to one minute, is always a good idea. 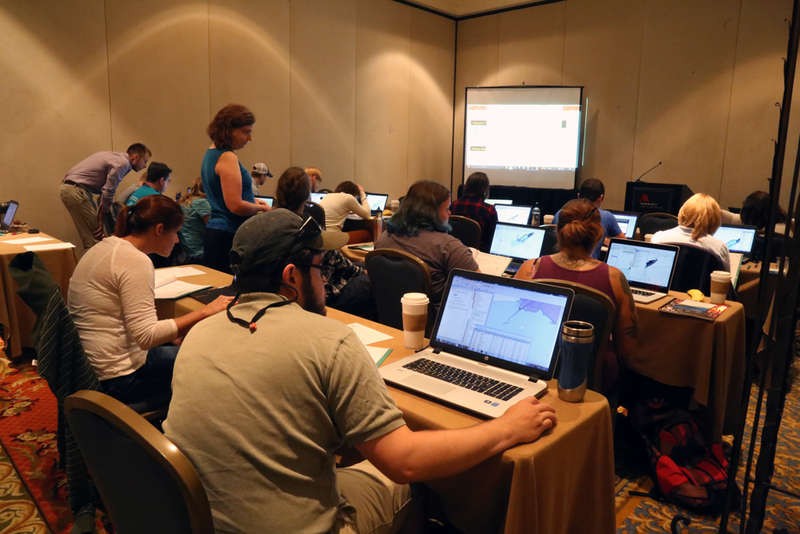 Space is still available in most of our hands-on Continuing Education courses and special workshops. Meet the Monsters of Climate Science or even win a prize in the Impact-a-thon. 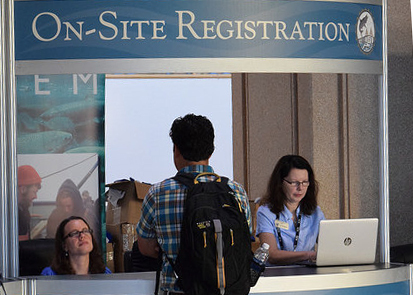 Sign up onsite is on a first-come, first-served basis. Our local team deserves big thanks for making sure our attendees get the most out of their time in Atlantic City! The Silent Auction and raffle features thousands of dollars of unique items. Cheer on teams at the first Student Quiz Bowl or try your luck at the Student Challenge. Add to that the Spawning Run, Splash and Dash, fishing trip, Wednesday night fireworks, and much more. We will have smiling staff to help you at our book store inside the Exhibition Hall in Atlantic City. And our new publisher, Wiley, has a booth nearby as well. 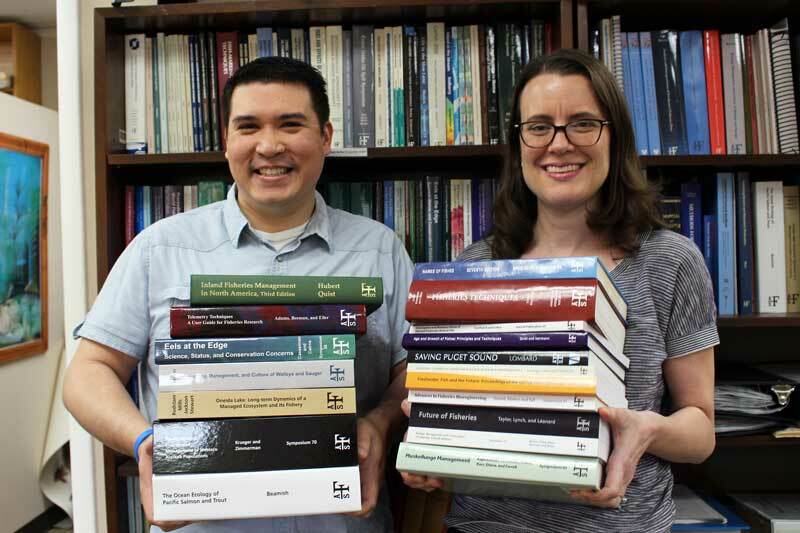 Stop by for a chat, pick up a book, or read one of our many other publications. You are welcome! If you're looking for a place to get a bite to eat or grab a drink with some colleagues, check out our Google Meeting Map. The map includes a variety of nearby food and beverage options for a range of budgets. 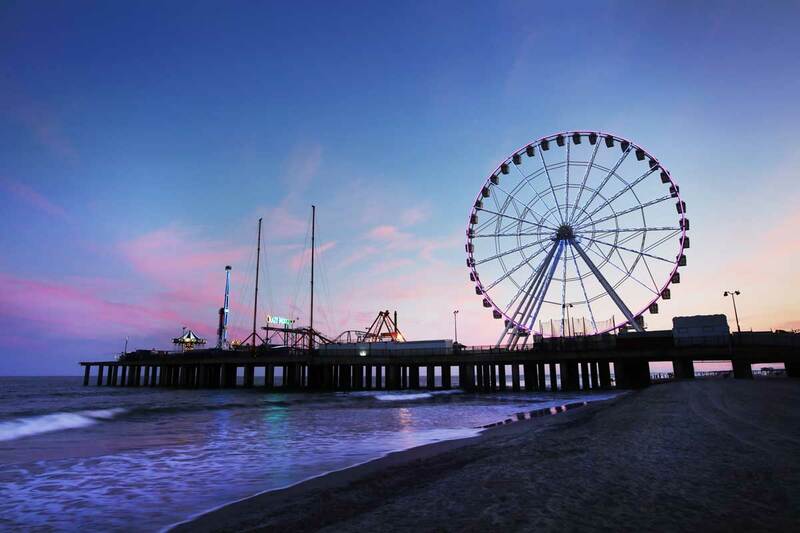 Click on a location to learn more about special offers or to find out where the locals go. And see our local events calendar. Thank you for supporting AFS and fisheries science with a donation.